Before I write a single word, I want to preface this with my awareness that my advice is based only on my own experience- I am not, by a long shot, the expert on cross-cultural office relations. However, I do get along quite well with everyone in my office, so if that's proof enough for you, please read on! Step 1: Eat delicious food together. America has it's own special brand of Chinese food (who the hell is General Tso, that's what I want to know), Mexican food (Chipotle I'm looking at you), and basically every other interesting ethnic food. Korea is pretty similar, with it's own versions of things such as pizza and hamburgers, but what I want to talk about today is, as the title probably warned you, Chinese food in Korea. As promised, this post will talk about modesty in Korean fashion, and how that has changed the way that I personally dress. In other words, this post is about my scarf addiction how I didn't choose the cardigan lifestyle, it chose me. I recently passed the six month marker since coming to Korea, and it got me thinking. How have I changed since I came to Korea? Did Korea change me, or were these changes going to happen one way or another? And if I have changed, is it for the better? These questions have been bumping around in my brain, and this is my attempt to answer them. For the past couple years, as I felt adulthood looming toward me, I began to feel the urge to dress the part. I figured that, even if I didn’t know how to act like a grownup, I could at least dress like one! As it turns out, that’s harder than it looks, especially in a city like Seattle, where “nice clothes” tends to mean your newest fleece jacket and rain boots in a festive color. I was skimming through some photos in my camera and found a lot of pictures from last year’s Seoul Lantern Festival which my husband and I came to see before we went to the Philippines in November. I was going to talk about the festival and share the photos in my blog, but I suffered from “temporary amnesia” as a result of my preoccupation with our business in the PI. 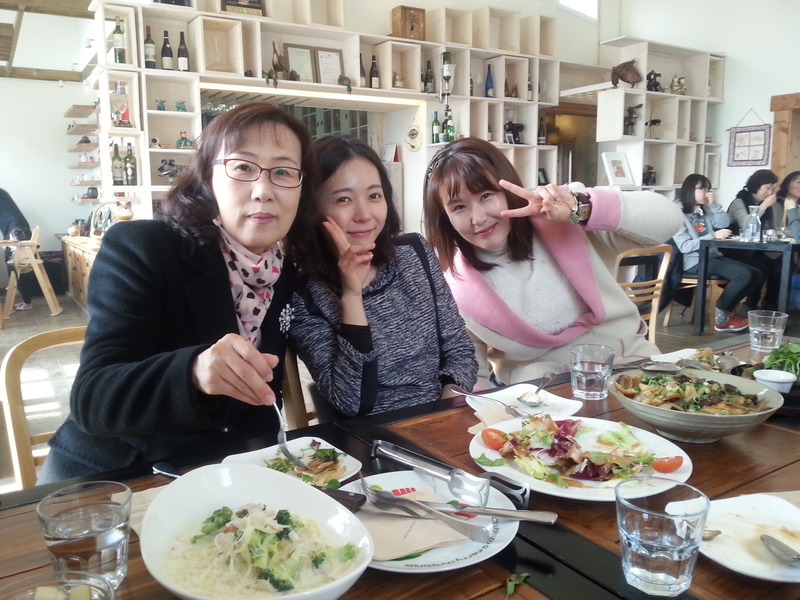 Now I’m back in Korea, back to sanity, back to blogging… but I miss my Mom and the family back home. I can’t wait to see them again this summer. I know it's not what you want to hear, but it's true. A good portion of my students on any given day don't give a crap about learning English. When I first started teaching, I really let that get to me. I sincerely care about these kids, I want them to learn, so every student who talked or napped through my class was like a personal wound. Right in the feelings. I’m not the most private of people, but I was raised on the idea that there are certain topics that are accepted as taboo in casual conversations: religion, how much money you make, weight, politics, etc. Unless speaking to a close friend, I’ve always avoided these topics out of a combination of politeness and a horrible fear of insulting someone. But everything changed when the Fire Nation attacked I moved to Korea. I’ll give some examples of questions that no longer shock me.